Little national evidence exists on disordered eating patterns in the UK. 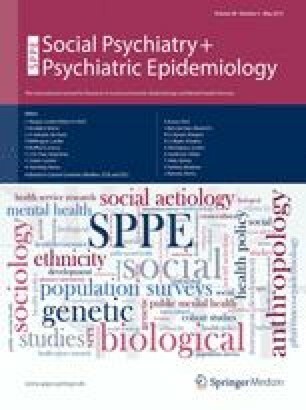 This study examined the prevalence and nature of disordered eating patterns in the National Adult Psychiatric Morbidity Survey 2007. Responses to the screening tool for eating disorders (SCOFF) and body mass index (BMI) were analysed using latent class analysis (n = 7,001). Multinomial logistic regression explored the associations between latent classes and mental health comorbidities. The prevalence of possible eating disorders in England using the SCOFF was 6.3 %; this decreased to 1.6 % when accounting for the negative impact feelings about food had on the respondent’s life. Five latent classes were identified: classes 1 and 2 resembled known eating disorders (‘marginal anorexia’ relating to anorexia nervosa and ‘binge eaters’ relating to bulimia nervosa/binge eating disorder); class 3 consisted of people who were obese, but did not experience eating problems; class 4 was morbidly obese, with an elevated risk of anxiety disorders; class 5 was labelled as ‘normal eaters’, with a low probability of eating problems and a normal BMI. Adults assigned to eating disorder type classes are at increased risk for mental health comorbidities and poorer social functioning. Information presented herein on clustering of disordered eating patterns may help clinicians identify those men and women risk for an eating disorder.